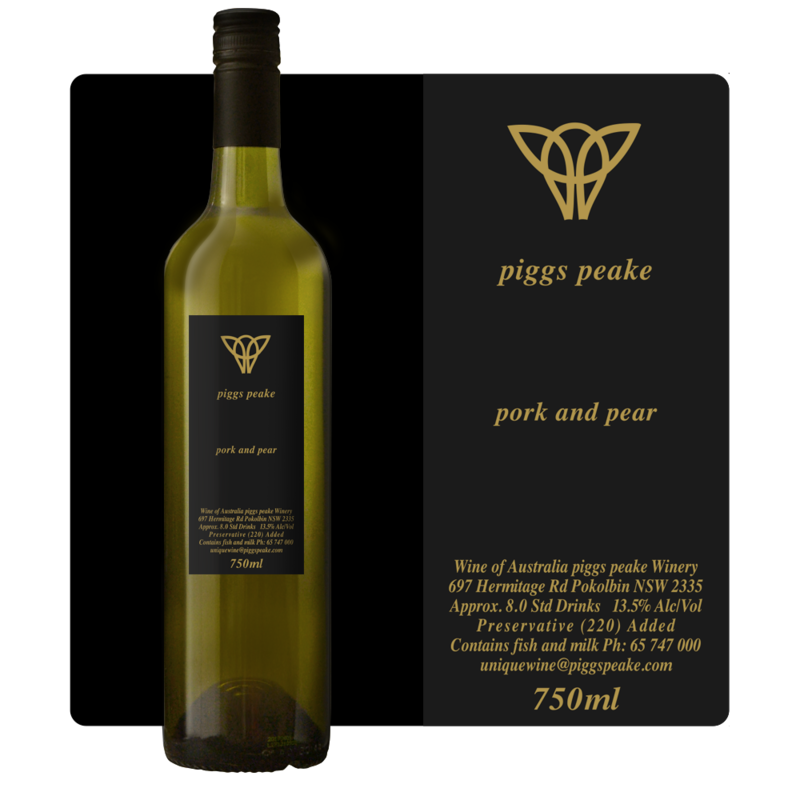 The Pork and Pear is a curious little wine…………Bear with me while I explain. Firstly, the wine is a blend of Viognier and Marsanne. The Viognier was picked in 2015 and aged in oak. The Marsanne was picked in 2016 and made in stainless steel. In order to put a vintage on the label a wine has to be at least 85% from that vintage. This is a Viognier dominant wine, but not to that extent so, we haven’t put a vintage on it. As a wine, the Viognier is the dominant grape. Theres definite dried apricot and characteristic richness from the Viognier. The Marsanne keeps it clean and fresh. This is a fuller white wine well suited to a white meat dish.